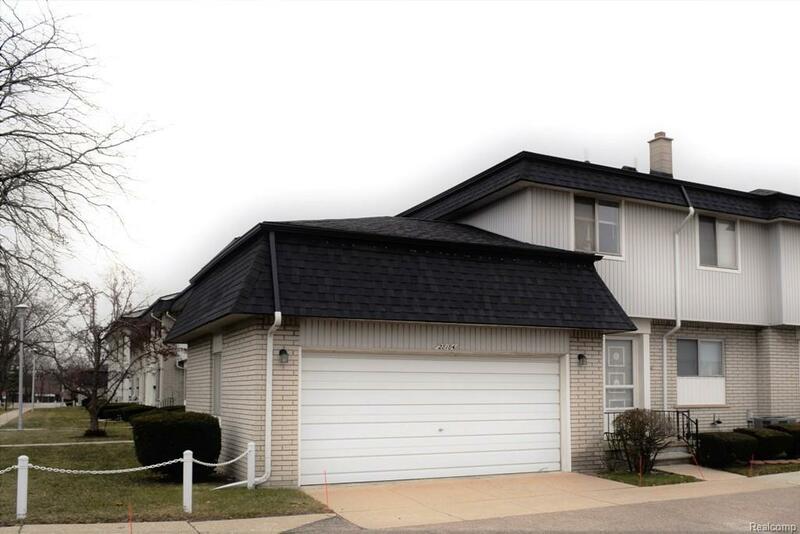 Welcome home to perfectly situated, well built condo in popular Universal City Estates, located close to retail and grocery stores, restaurants, theatre, hospital, expressways and more. This lovely end-unit includes a stylish open great room floor plan with dining area (approx. 14 x 6) and door wall to private patio. Cook&apos;s kitchen with pantry is large enough for additional dining area. Spacious upstairs master bedroom features two closets and second door wall to private balcony. Upstairs could have 3 bedrooms (3rd bedroom currently configured as multi-use loft style den or office). Full basement (approx. 33 x 18) includes laundry area, workbench, under stairs pantry-style closet and plenty of room for sitting and dining areas. Large attached garage has a convenient separate door to private back patio. Association dues includes water, heat, grounds maintenance, clubhouse and in-ground pool. Just right for the fast paced twenty-first century or quiet, comfortable and convenient living!